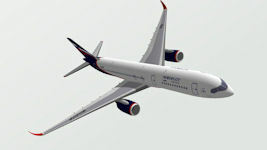 Almost simultaneously with the creation of IL-96-300, OKB SV Ilyushin undertook studies on IL-90. This machine is designed to carry 20 tons at a range of up to 9,000 km, was operated on so-called "thin routes" where the use of IL-96-300 is ineffective. The economic recession in Russia did not allow the implementation of this ambitious project. This was an airliner intended to supersede the IL-62. 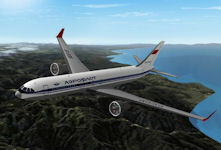 The work on the Ilyushin Il-90 was conducted concurrently with the development of the IL-96-300. The Ilyushin Il-90 was to have a payload of 20 tonnes (44,100 lb) and a range of 9.000 km (5,594 miles) at a cruising speed of 850 km/h (528 mph). Preliminary studies included various layouts featuring both a widebody and a narrow-body fuselage, a twin-engine and a three-engine configuration. For example, in December 1979 the OKB put forward a proposal for an IL-90 version seating 220 passengers and powered by two NK-86 turbofans. A later proposal (1989) envisaged an IL-90-200 powered by two 18,000-kgp (39,680-lbst) NK-92 contra-rotating integrated shrouded propfan (CRISP) engines and intended to carry 200 passengers. Eventually the OKB opted for a variant powered by two identically rated NK-93 CRISP engines on underwing pylons. In the course of projecting, the OKB decided to increase the Ilyushin IL-90's range to 10,000-11,000 km (6,215-6,837 miles) with a 20-tonne payload and 12,000-13,000 km (7,458-8,080 miles) with a 15-tonne (33,075-lb) payload. The project was endorsed by the General Designer in December 1988. However, the economic situation of the early 1990s, with the country in the throes of a crisis, prevented the project from being implemented. A similar plane, recreated again and a new technical level could be effective in many areas where (maybe - in those periods / seasons) when Airbus 330-200, the A350XWB-800 or Boeing 787-8 would be too much. In addition, there is always "home insurance" in the form of stable routes Moscow (St. Petersburg) - the Russian Far East. 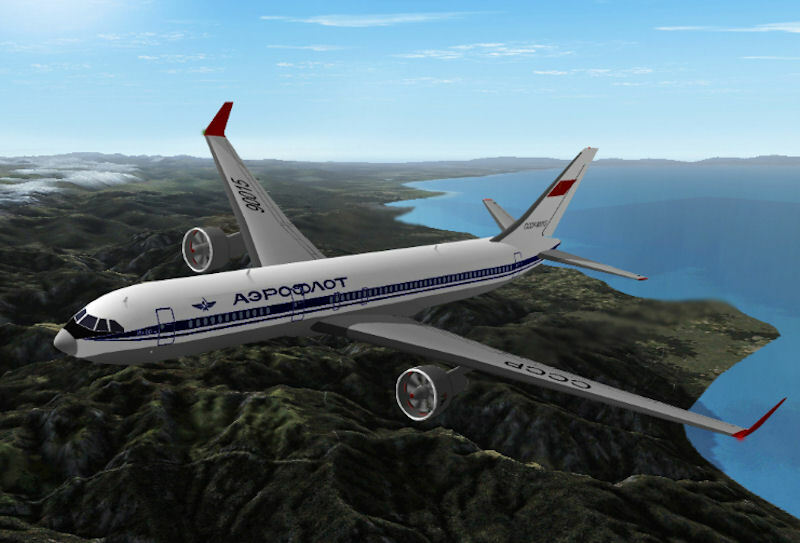 Of course, the possible success of IL-90 project was largely determined by installing the advanced gearbox engine NK-93 (work on which at the time was halted), but there are also other new developments, such as the "Aviadvigatel" PD-18r. The length and width of the fuselage of the IL-90 varied in the exercise, as well as the arrangement of seats (2-2-2) - as the IL-90 (original project 1988), but of course, with increased use of composite materials and fore part of the tail - are unified with the MC-21. The wing might be about the same size as the IL-90-original, but with extensive use of composite materials and the sweep angle 1/4 33-34 degrees chords with the cruise phase m 0.83 0.84 m. With the possible maximum take-off weight of the aircraft, 120-130 tons of engines takeoff thrust will be 18-20 tons of options seems most likely PD-18r. Now the Airborne Troops use military transport aircraft An-12, An-22, IL-76. Instead there would come a new type of aircraft, which will be the IL-90, the Deputy Commander of the Airborne Troops said on 16 May 2014. The new military transport aircraft IL-90 was developed for Russian airborne troops (VDV), reported on the radio station "Echo of Moscow" the Deputy Commander of the Airborne logistics, Colonel Nariman Timergazin. 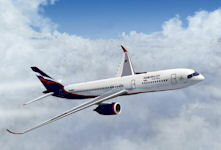 "The work is very serious now on aviation on the new types of aircraft IL-90 <...> Fundamentally new type of airplane you should see," he said, without specifying the characteristics of the new aircraft. The blog "bmpd" under the auspices of the Center for Analysis of Strategies and Technologies (CAST) came to the conclusion that a high probability that this is a new aircraft project developed on the basis of developments and using project heavy aircraft Il-106 development of which began in the 1980s. It seems more likely that this was simply a confusion of the Military transport aircraft Il-76MD-90A (better known as IL-476).